Cooper & Co Dog Food is made in Britain with the finest quality, highly digestible ingredients, and was started so that the founder’s dog (Cooper) was sure to be fed a diet of the finest quality ingredients. 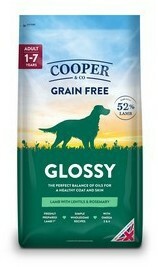 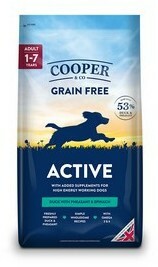 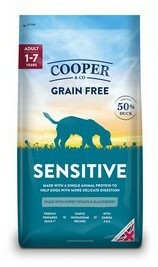 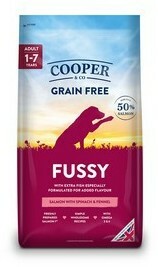 Cooper the dog lives an active outdoor lifestyle and he loves all of our delicious recipes because they are so tasty. 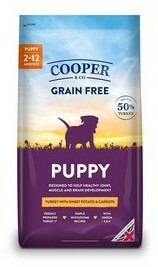 Active for high energy working dogs, Duck with pheasant & sweet potato.